Beautiful Penthouse in an excellent location on 7MB Corridor. This double story home has high end finishes and spectacular views of merging waterways. Besides the marble finish, and top of the range it offers an enormous open living patio on the top floor circa 2,000 of gorgeous views straight down the canal and even further out towards the North Sound. Perfect spot to park your boat. 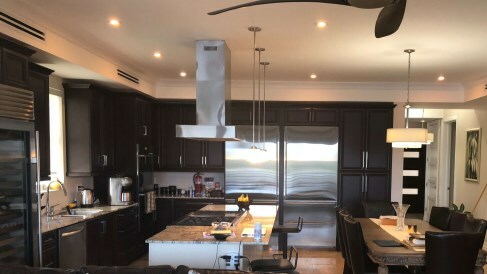 Gourmet Kitchen with full size wine fridge. Property also has underground parking, with added storage. 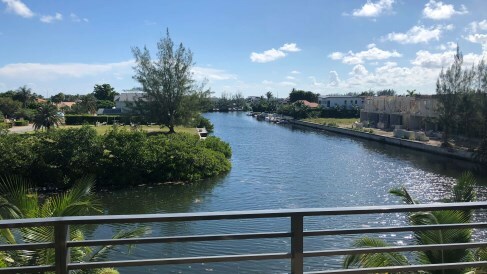 Includes 50' dock on the southern end of the dock.Children Play area, sliding glass walls that open up to your 180 degree canal front terrace.Extremely energy efficient and central to all Seven Mile Beach Activities!